For forty-seven days and forty-six nights, the battle rages. New men and materials are constantly coming up. 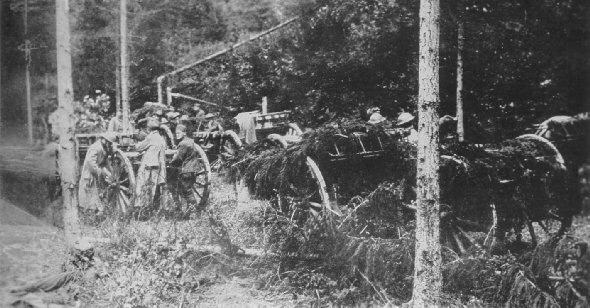 This American battery is camouflaged as a protection from hostile planes while it rests before entering the front lines. High explosive shells being fed to a 155 mm. howitzer, near Samogneus, Department of the Meuse, France. 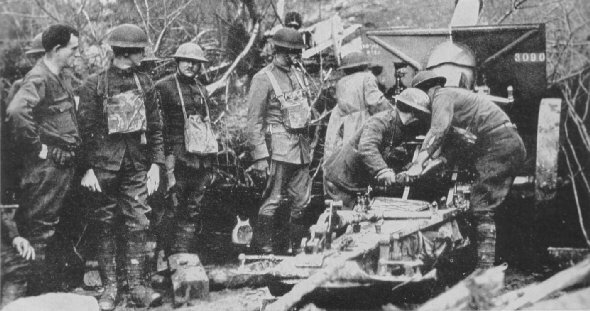 Artillery-men had maps of all the roads in the rear of the German lines and were preventing reinforcements from coming in.